In Orlando for AAEM17? See the best this city has to offer! When most people think of Orlando images of Mickey Mouse® and the theme parks that made the city famous come to mind, but Orlando has a lot more to offer than just long lines and pricey food! Check out some of our suggestions below for having a great time while attending AAEM17. If you check any of these out, be sure to check in and give us a shout #LoveLifeLoveEM @EMrecruits. Stop by our booth #609 to discuss your future career in EM. 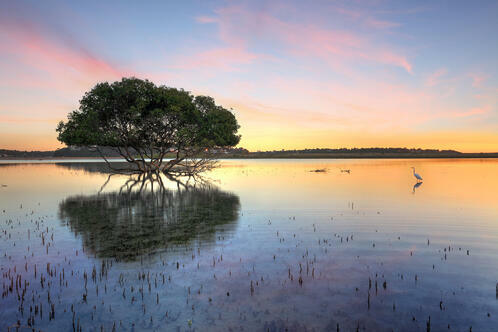 Florida is filled with amazing lakes and swamps, including the infamous Everglades, but while in Orlando, it doesn’t get better than Lake Kissimmee. There are numerous companies that offer swamp tours where you can spot amazing flora and fauna, including the bald eagles and of course alligators. The cities business district has a distinct skyline with numerous high-rise buildings and beautiful parks. During the evenings the city comes to life with restaurants, bars and a variety of people. Orange Avenue is noted for its fine dining and delicious gastro-pubs. 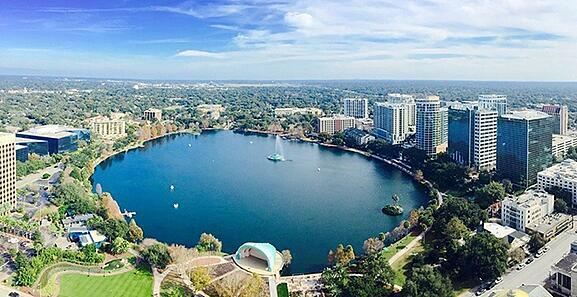 If you’ve ever wondered what Orlando was like before the giant theme parks, head to Eola Park in the heart of Orlando. The sidewalk that circles the lake is .9 miles in length, making it easy for visitors to keep track of their walking or running distances. Other activities available to park visitors include renting swan-shaped paddle boats, feeding the live swans and other birds inhabiting the park, grabbing a bite to eat at Relax Grill on Lake Eola or relaxing amid beautiful flower beds and a spectacular view of Orlando’s skyline. 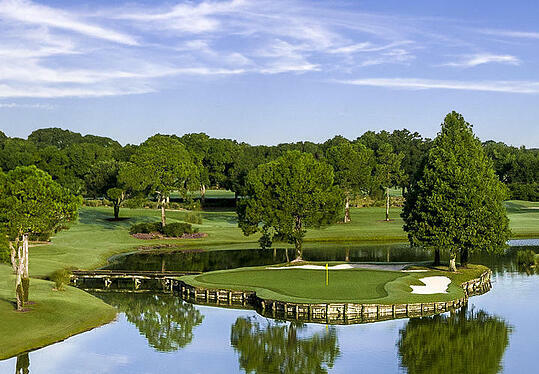 If you’re looking to hit the greens without spending all of your green, put the new course here on your Orlando must-play list. Jack Nicklaus' homage to the Old Course at St. Andrews features no trees, minimal water (in the form of winding burns), semi-blind shots, double greens and more than 140 bunkers, some as much as 12 feet deep, where a ladder provides access. If you’re looking for a more inclusive, family friendly activity while you’re in Orlando then Sea Life is perfect for you. It has a terrific, soothing atmosphere. This attraction is engineered to provide visitors, and especially young visitors, with experiences that are up close and personal. 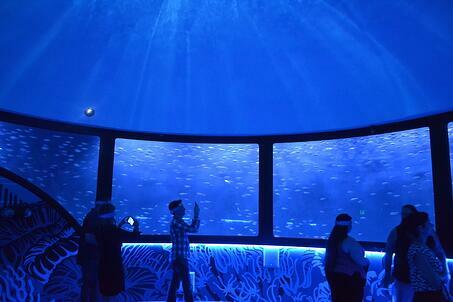 Explore the world’s oceans through amazing Plexiglas® windows and tunnels. Visitors will experience sharks, rays, turtles and a hands-on touch pool experience. This is a visual stunning experience for adults and an educational one for children. We’ll see you all there at the AAEM Conference and be sure to stop by our Booth #609!